Scopitones have issued a new album featuring Cinerama recorded live in London in June 2015. This double disc release features the concert on both CD & DVD. This year David Gedge finally realised a dream that he's had for about 15 years. He's been doing The Wedding Present since they released their first single in 1985, of course, but, since the late 1990s, he's also had a side project called Cinerama whose music is less guitar-orientated and features more in the way of strings, orchestral brass, vintage keyboards… and anything else from classic pop arrangements that’s taken his fancy, to be honest. In June 2015 Cinerama performed live for the first time in what you might call 'all its glory’... with a string quartet, trumpeter, flautist and assorted other guest contributors. This spectacular concert, which was held at London's 'O2 Academy Islington’, was something of a one-off, so David decided to film it and record it for posterity. ‘Live 2015’ is the result of his endeavours and brings to life favourites selected from each of Cinerama’s four studio albums. The live version of ‘The Girl From The DDR’ featured on this CD & DVD also appears on a Cinerama split single being released by Come Play With Me. This 7” is available by clicking here. And you can see a video of ‘The Girl From The DDR’ by clicking here. 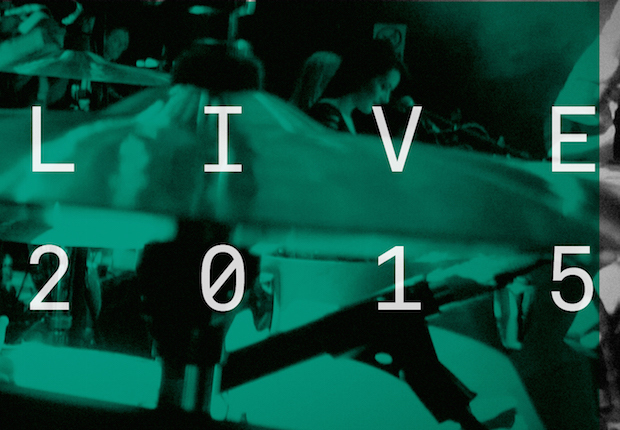 You can purchase a copy of ‘Live 2015’ by clicking here.